» Klout closes. Who knew it was still on? An unforeseen side effect of the GDPR deadline appears to be the closure of Klout - the service which rates social media influence on a scale of 1 to 100. It can’t be coincidental that Lithium Technologies, Klouts owners, chose 25 May as the day to shut down. The Klout Score is a number between 1-100 intended to represent your influence. 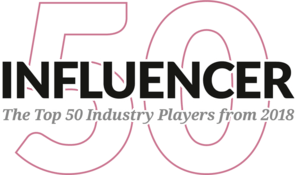 Its premise: the more influential you are, the higher your Klout Score. Launched in 2008 Klout determines user scores by measuring the size of a user's social media network and correlating the content created to measure how other users interact with that content. For a while Klout was the thing. In the early years of Klout social media ‘gurus’ proudly advertised their klout scores in their social media bios. Recruiters looked for high Klout scores on applicants’ CVs as part of the screening process before offering an interview. Newspaper editors incentivized their journalists to improve their Klout scores each month as they grappled to make sense of this online-first new world order. Klout: Is this thing still on? Hearing of Klout's impending demise the bigger surprise for me was not that Klout was closing, but rather it was still even a thing. Even Klout’s website seems to have thrown in the towel. Its 'about us' page still references Klout Perks - an incentive scheme the ranking company shut in October 2015. The page quotes a million perks, a figure attained by May 2013, according to Wikipedia. The idea of an official social media scoreboard is enticing. As we live more and more of our lives online a measure of our social footprint and impact seems, on the surface, a good idea. Especially when we can track our scores against those of our peers. Klout’s 1-100 score also fits snuggly with the quantified self. Increasingly we measure the length and quality of our sleep. And, how many steps we walk each day. Why wouldn’t we want to track our social impact, too? The trouble is, by nature we’re kind of jerks. We’re drawn to things. But, we often abuse them too. Need an illustration? You only need look at the huge amount of litter left in any park, or beach, the day after a sunny bank holiday. Exhibiting a veneer of online influence is easily gamed. I’ve written about the reach myth of influencer marketing and given 9 reasons why not all influencer engagement is created equal. Likewise Klout scores are easily manipulated. 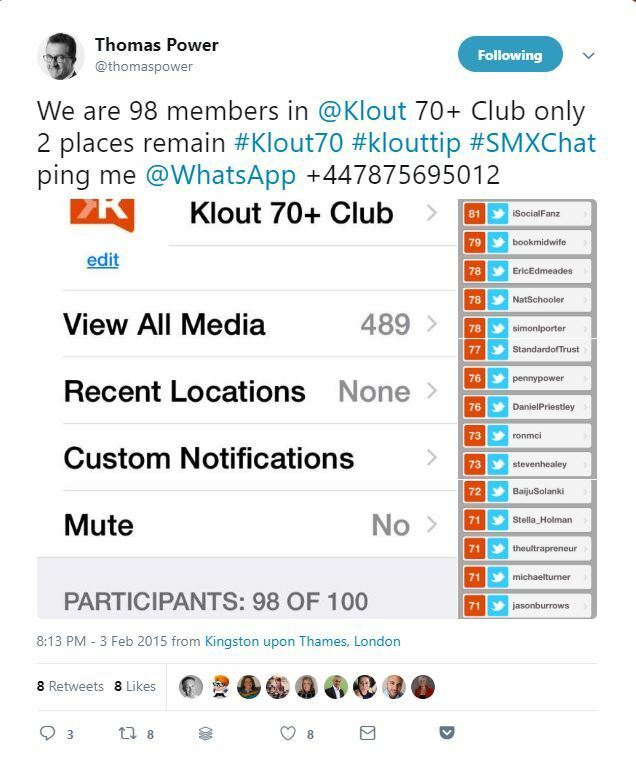 Thomas Power came up with the #Klout70 movement, for instance. This was a way to increase Klout scores at scale. Power reasoned that at university you need 70% to achieve a first class degree, likewise you need #Klout70 to demonstrate you are first class on social media. Power set up a Whatsapp group chock-full of people who either had or wanted to get to the magic number. Klout closes: as an online influence score it was easily gamed. The Whatsapp group shared tips for increasing Klout scores. They crowd-sourced a document on the subject. Called Up Your Klout the guide collated many of these tips for reaching the arbitrary figure of 70. Share, share, share was a common theme throughout. Klout has been criticised for the opacity of its black box methodology. While it is claimed that advanced machine learning techniques are used, leveraging network theory, Sean Golliher analysed Klout scores of Twitter users and found that the simple logarithm of the number of followers was sufficient to explain 95% of the variance. In short a problem with Klout scoring is that it’s bunkum. 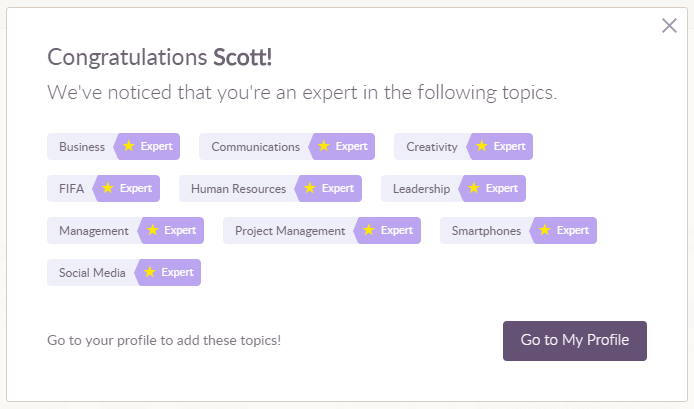 I questioned Klout’s relevance in August 2015 citing the topics that Klout marked me down as an expert for. These included FIFA and Smartphones. I know NOTHING about football and, save for believing that FIFA’s management falls far short of passing the smell test, I know nothing about this governing body either. To say that I am an expert in smartphones is absurd, too. I have a smartphone. I can work my way around the apps. An expert on smartphones I ain’t. Klout closes: its blackbox technology was 'iffy' at best when selecting expert topics for its users. Klout scores devalue authentic online communication. Engagement is important to demonstrate influence. But, Thomas Power and his #Klout70 groupies aside, we don’t usually want engagement just for the sake of engagement. We want our content to resonate with a distinct group of people. I write a lot about influencer marketing and often share content from others on the subject, too. Yet, my biggest impact on Klout positively affecting my Klout score came from one of those Facebook shared memories. 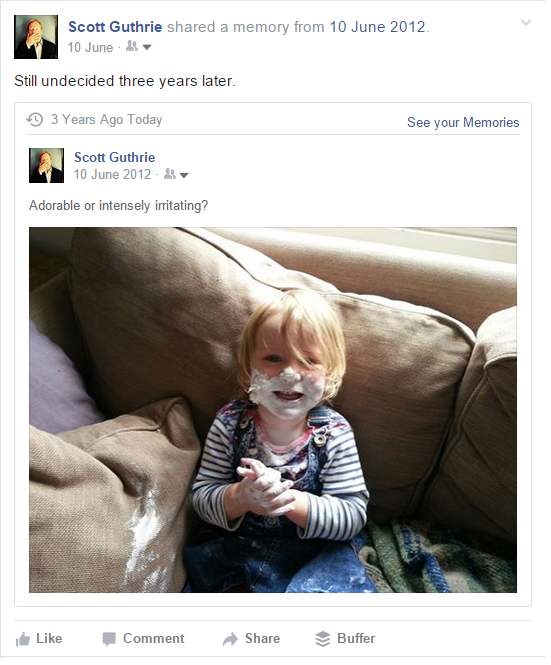 It resurfaced a photo taken several years’ ago of my daughter covered in Sudocrem. Based on that I should probably jack in the sometimes intellectually-draining pursuit of writing articles and embrace the cult of the frivolous - posting only ‘like-bait’ photos of my kids on Facebook instead. Klout closes, so what next? Klout closes, so what next? In the blog post announcing Klout’s closure Lithium’s CEO Peter Hess ended on an ominous note: “...we are also planning the launch of a new social impact scoring methodology based on Twitter.” So, watch this space. Can't wait and lost without your Klout score, now? SKORR launched last Monday. 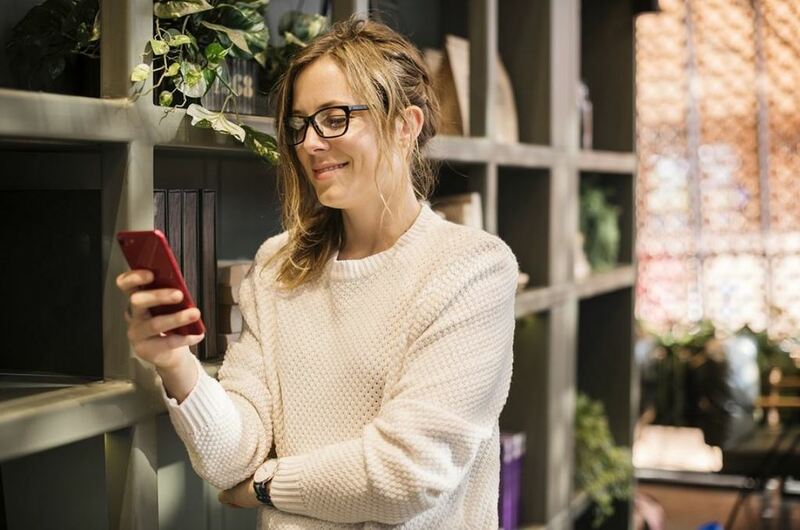 The social media app measures your influence and aims to give you a unified vision of all your social media accounts (Facebook, Instagram, Tumblr, Youtube, Linkedin, Twitter). 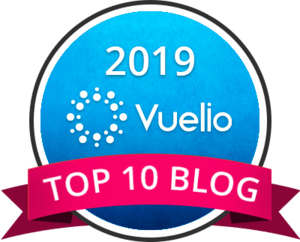 Stephen Waddington, Ketchum’s chief engagement officer and partner asked 13 executives, planners and strategists in his network back in 2015 how they rated Klout as a tool for identifying and measuring influence. I was one of the Bakers’ Dozen. You can read the article here. BrandRepublic has now republished Stephen’s article in full. You can read it here.